Pictured above is a recent install of our iron garage doors in Massapequa Park, NY. 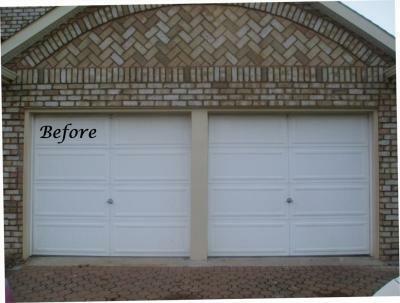 The photo speaks for itself and you can blatantly see how these iron garage doors have completely changed the look of this home. The contrasting dark color highlights the magnificent stonework and truly brings this home to life. This house once being a normal house you would drive past is now turning the heads of all our customer neighbors and passer bys. 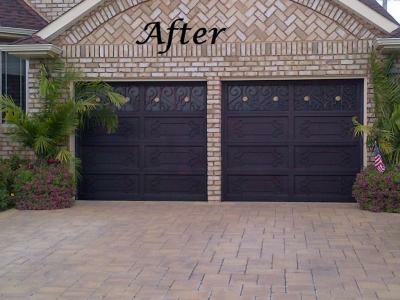 So many people underestimate the impact their garage doors have on the overall look of their home, and thats a lot of surface area to be ignored. Signature Iron Doors has created a one of a kind insulated iron garage door that not only dazzles but is built to last. Living in New York as a resident you can experience a pretty harsh winter but our insulated iron garage doors will not only help you maintain a decent temperature in your garage but will also stand up to all the challenges a tough winter delivers. We invite you to explore our website and contact us to see how the team here at Signature Iron Doors can help you transform your home.